When it comes to cattle ranches for sale in the Intermountain West, ranch buyers have different considerations than ranchers residing on the plains. 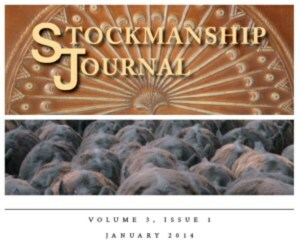 At the end of the day, every rancher’s goal is economic viability and sustainability. So what goes into making a ranch “pencil”? We sat down with the following ranch brokers to discuss the top factors to consider in buying a working ranch in the Rocky Mountain region. And Ken Mirr, a former public lands attorney, board member on Western Landowners Alliance and Colorado Cattlemen’s Agricultural Land Trust, and founder of Mirr Ranch Group. All of our ranch brokers say the first questions they ask when working with a new cattle ranch buyer pertains to the rancher’s plans for the working property. 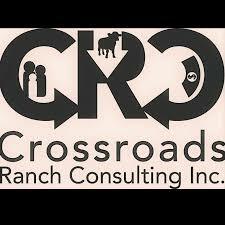 Most cattle ranch buyers will be either owner operators or an absentee owner. If they are an owner operator, they are living on the ranch most of the time. In these situations the residence may take on greater importance. Absentee owners may not be involved with the day to day operations, and typically either hire a ranch manager to run the entire operation, or lease the ground to a neighbor or operator in the area. Most independent cattle ranches in the intermountain West are either cow-calf or yearling operations. Yearling operations, like Antelope Springs Ranch, are normally seasonal and have fairly short term grazing terms. Weight gain and herd health are the biggest concerns. 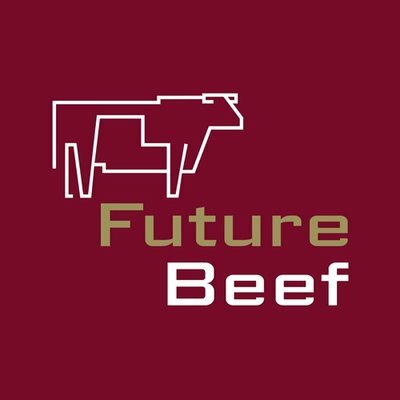 Once the operators are finished for the season, the cattle are sold and all the yearlings are replaced with new cattle the following cycle. The Cottonwood can be operated as either yearling or cow-calf. Cow-Calf ops are year-round, long-term operations like the Continental Divide Ranch, where a percentage of the calf crop is terminal and the remaining cattle are kept as part of the herd. Longevity of the cows and weaning weights of the calves are the most important aspects. These type of operations typically need greater working facilities, infrastructure, and water resources. There are two methods of determining carrying capacity, which plays into how much land you will need between deeded and leased ground. Stocking Rate is traditionally the number of acres per cow. This number is typically determined by the owner of the deeded ground. Animal Units Per Month (AUM) is based on the amount of forage per month per animal unit. This calculation is typically found in public land leases and is determined by the governing authority like the National Forest Service (NFS), Bureau of Land Management (BLM), or the state. The climate and feed availability or forage base assist in determining how to manage the cattle herd during the winter months. Summer grazing operations typically need to move their cattle in the winter to another place on the plains or in feedlots close to town. Year-round operations, like the Nunn Ranch and Double R Ranch, have the feed to sustain livestock year-round. The cows will graze during growing months and then feed on available feed like cornstocks or supplemented hay during the colder months. The amount of feed that is sublememeted during the winters months is highly dependent on climate and snowpack in the area. While year-round operations usually have more temperate climates, in the West, we do have “hard-core ranchers” who will operate year-round in cold winter conditions. Management plans can help protect the health of the herd in these situations, such as feeding more frequently and ensuring access to water. The ecological conditions of the ranch are also important considerations. Private cattle ranches represent some of the most biologically diverse landscapes in the West and impact wildlife habitat. Taking care of the land is significant to the underlying value of the land for generations to come and this must be balanced with operational considerations. Original homesteaders and early ranching families saw this and began utilizing techniques such as “take half, and leave half” which led to rotational grazing. Those concepts evolved as we learned more, and today modern ranching is all about the long-term sustainability of the land. 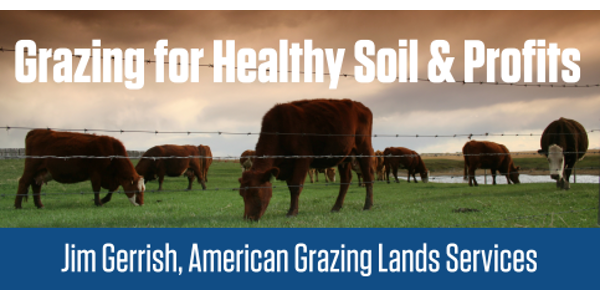 Ranchers are concerned not only about the health of the livestock, but also the health of the soil, grasses, ecosystems, habitat, and wildlife, and make management decisions that protect the health of all of these elements. Many western states are blessed to have healthy populations of wildlife, including upland birds, big-game, and nongame species, and many of today’s buyers seek a balance of wildlife and recreational opportunities, along with a sustainable agricultural operation. Fortunately, both of these facets can be realized. Well planned and executed grazing management can not only benefit livestock performance and gains, but also improve wildlife habitat and ability to attract and hold wildlife. Proper livestock grazing can actually be used as a tool to improve rangeland health and production, including plant vigor, plant bio-diversity and palatability, which in turn also improves habitat for wildlife. 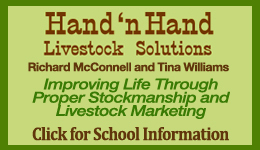 A holistic approach also goes right to the bottom line, making the ranch more likely to be economically prosperous. A good example of a sustainable ranch management is The Cottonwood near Daniel, Wyoming or Cinch Buckle Ranch in Broadus, Montana. All of our brokers agreed that water resources are critical in a viable operation. Not only are water rights for irrigation and riparian areas key, but wells, tanks and underground piping for livestock watering need to be in place. Quality of the water resources also play an important role in herd health. Western states rarely ever have an abundance of water, and more importantly, water dispersion throughout the ranch is water that is healthy for the cattle to drink. A well-watered ranch by definition is where cattle don’t have to travel great distances to get to water. The travel is stressful on the cattle, and has a direct impact on carcass weight and grades. See Porcupine Ridge Ranch for a look at incredible water resources. To experienced ranchers, basic infrastructure in good condition is essential no matter the operation. Depending on the type of operation and operational strategy of the ranch, working facilities could be just as crucial. Basic infrastructure: This pertains to fencing, cross-fencing, piping, water tanks, gates, and cattle guards. If you have hundreds of miles of fencing in poor condition and it all needs to be replaced, this could cost a rancher millions of dollars. Working Facilities: Year-round cow-calf operations especially are in need of turnkey working cattle ranches for sale with facilities in good repair such as corrals, chutes, scales, medical facilities, etc. Perhaps one of the most unique attributes about the West is the abundance of public lands. In ranching, the use of public land grazing permits can be crucial in making the operation pencil. Grazing permits are essentially leases with the National Forest Service (NFS), Bureau of Land Management (BLM), or other federal land agencies and also include state land boards in the various western states. Recently, Mirr Ranch Group authored an article for the Rocky Mountain edition of The Land Report explaining public lands’ role in ranching. As an example we discussed the sale of the Sandy Ranch which we listed and sold. A historic ranch in Utah right next to Capitol Reef National Park, the Sandy Ranch is a high desert outfit that runs about 1,000 head on 6,970 deeded acres. A cow-calf pair per every seven acres in the middle of the desert? This is where public lands takes a role. Sandy Ranch leases a total of 242,000 from the BLM and NFS, and suddenly the math makes more sense! Public land leases have the advantage of being very affordable and in return, can reduce your carrying cost per animal unit. When searching for a cattle ranch, determine how much public land is available adjoining or near the property. Adjoining public land leases not only provide affordable additional grazing lands but additional recreational opportunities as well. Purchasing a cattle ranch involves business decisions requiring an evaluation of a number of factors with the overriding goal to find a ranch that is economically viable and ecologically sustainable. The modern day cattle rancher has found that sustainable and holistic management plans work and can increase productivity, while maintaining the ecological and biological diversity of the land. Solid infrastructure, water resources, as well as access to available public land are all important attributes that preserve the economic prosperity of working landscapes.